Bob Dylan Nashville Skyline which version should I get? I wonder of that is still the best. I have the new MFSL SACD I think it is a great sounding Disc. Steve recommended somewhere the MFSL SACD of Love’s Forever Changes as the best edition of the item. Glad you like it. 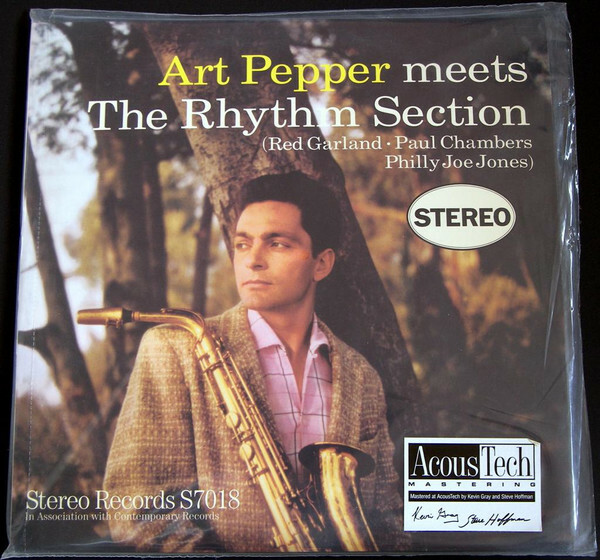 Always a pleasure to master Art Pepper's great sounding Contemporary Studio recordings. Well, they don't have the rights anymore, sadly. Sorry you lost your stuff..
shokhead and tmtomh like this. Sonny Plus Four: Good sounding OJC. Sounds just like the tape. Recorded right before RVG started going nuts with the fake reverb machine.